With all of the cranes dotting Boston’s skyline, it would be easy to assume we only have eyes for the future. However, not all of the new is ignoring the past—some are even embracing it. Millennium Partners, the developers behind Boston’s new Millennium Tower, is funding much of the extensive restoration work of Boston’s Old South Meeting House. 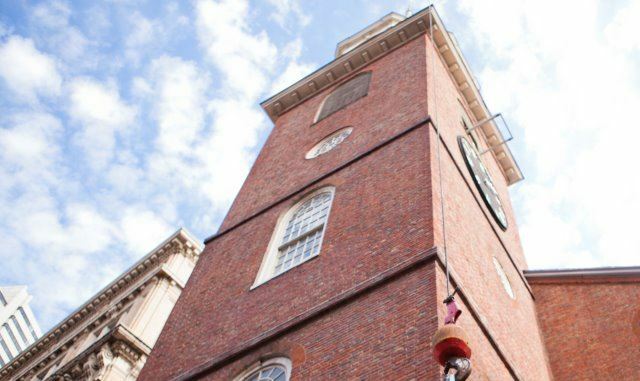 Boston magazine reports the firm pledged over $100,000 towards sprucing up the 287-year-old building that famously served as an organizing place for the Boston Tea Party. Claimed to be the second-oldest establishment in existence in the United States, the Old South Meeting House will begin its facelift this week with restoration work on its 5,400-square-foot ceiling. Paint from the late 1800s will be removed and fresh coats applied after this December’s Boston Tea Party reenactment. In partnership with Millennium Partners, the Massachusetts Cultural Facilities Fund contributed $95,000 to the project, which is expected to be completed by March of next year. Want to know more? See or dial Seaport’s concierge for ticket information and directions to the Old South Meeting house—it's open daily for tours!